phatt wrote: One thing I'd like to add is some of these amps have a rather high working voltage. There maybe merit in dropping the HT if you want to stay below the flashover issues and also the punch through in the OTr windings. Dai h, The .22 Amp schematic shows 390Volts HT which is highish. To Messa's credit they have at least lowered the screens by a good 100 volts or so, that will help as the higher the supply the more you have to drop the screen voltage,, if you want it to survive for a long time. Quite obviously you have your finger on the pulse and not on Advertizing proppaganda. I wish someone would shot a hi quality Vid of a screen grid disentergrating they light up like a chrismas tree. Good entertainment but also might help Get the message out to the masses that screens ARE the weak link and one should care for them. For those that wish to know why Doug lowered the screen Voltage? The Plate is is exactly what it says, *A plate of metal* whereas the screen is tiny wires. With only a couple of volts between plate and Screen, under extended load the PSU sags and the screen can actually float more positive than the Plate. All the electrons pass through the very fragile Screen,, Not the Plate. ouch! Laws of phyiz will tell you the free Electrons from cathode have a negitive charge and they will pass to whatever is at the highest Pos potential,, Electrons don't give a hoot either way. Under load The first filter cap is draining but the second will drop less so although only a momentary thing over extended periods you flog the crap out of your Power tubes. If you keep a safety margin this is never going to happen and tube life will be greatly extended. Rogue wrote: Thanks phatt. That is exactly my concern. I am curious as to whether the speaker motor itself is an adequate load. I'm a not convinced (just yet anyways) that a resistive load is better than a reactive load. Have you considered the DI Box might be the problem? I'd have the lid off and a quick schemo down on paper to see whats happening inside that thing. Check my simple *Voltage divsion on page 3* thats all you will need. If you wish to use the weber, a speaker or resistor,, or other weapon of choise makes little diff as long as you have a load the Voltage division works a treat. I don't think the DI box is the problem. Like I said, I did a test where I recorded a progression with the Weber attentuating and recorded the same progression just be turning the Weber to bypass. The bypassed signal sounded much better, and even more interesting the wave form looked more "free" as well. These are not the pictures from my test, but that is what basically what they look like. The levels were the same. The sound of the bypassed weber sounds much better, more open and clean, than the attenuated signal and the waveform would suggest it as well. I haven't tried more expensive attenuators, but I suspect they all pretty much degrade the signal at full load. I measured the load from the weber. It's about 27ohms. As for using the speaker motor alone....DON'T!!!!! I tried it and there was arcing around the magnets. I very quickly ended this experiment as I didn't want to damage my amp. Maybe you guys will find it interesting... I've put together the results of my experimenting with reactive loads i did last year. I wanted to build a dummy load for my low power tube amps for the same purpose as Rogue - tap the signal from the output, scale it, make balanced and send to DAW for convolving with impulse responses. what you can see and hear there is a traced down actual impedance curve of the dummy load and the corresponding sound sample. I don't know about the Weber attenuator products per se. But around 10 years ago I bought a MASS motor from them to experiment with. It had a 25W (IIRC) power rating and could be treated just like a speaker, used as a load, etc. This is with the caveat that you use it within its rated power capacity, just like you would with a speaker. phatt wrote: I wish someone would shot a hi quality Vid of a screen grid disentergrating they light up like a chrismas tree. There used to be a really good web page about screens that some Australian guy wrote up. Unfortunately I can't find it anymore. It made a very good case for using screen resistors and how to care for the screens. It also explained how this is not as critical for beam tubes as it is for real pentodes. A lot of schematics I see for 6v6/6L6 amps play fast and loose with this stuff, but that's okay. Maybe the TC (Transconductance) might have something to do with it? Most Pentodes do have massive TC compared to Tetrodes. But I'm not teck savvey enough to pass comment,, just thinking out loud. the TC difference alone is partly where the term *Britsh and American sound* came from. Something is obviously way wrong there and without a signal path map I'm at a loss to help. Keep in mind the line signal is best tapped from the Amp output,, not after other stuff. I agree with Doug H, it's just a speaker and will work in same fashion. pz wrote: Maybe you guys will find it interesting... I've put together the results of my experimenting with reactive loads i did last year. I wanted to build a dummy load for my low power tube amps for the same purpose as Rogue - tap the signal from the output, scale it, make balanced and send to DAW for convolving with impulse responses. You've piqued interest. Did you build or have something that somewhat simulates the impedance of a real speaker? It appears you are going for what I want and have some experience with it. Can you give some more details? phatt wrote: Something is obviously way wrong there and without a signal path map I'm at a loss to help. Not sure what you mean by signal path map, but.....amp-->DI Box-->Weber-->speaker cab. Out of the DI box into the DAW. The Weber is the mass lite and wiring diagram is as in the first post of this thread and was checked out when I bought it (used) by a tech. It is right. It's just an attenuator, and it affects the signal of the amplifier. That's why there are $500+ attenuators and simulators...to try and get a better sound from attenuation. phatt wrote: I agree with Doug H, it's just a speaker and will work in same fashion. The arcing came from the motor when I had it hooked up by itself to test it as the only load. Not good. Don't do that. It doesn't like it. Rogue wrote: You've piqued interest. Did you build or have something that somewhat simulates the impedance of a real speaker? It appears you are going for what I want and have some experience with it. Can you give some more details? There's one main problem if you want to get almost "perfect" impedance curve. 1st: the inductor used to shape the resonance peak needs to have minimum series resistance to get a narrow peak 2nd: you have to watch out for the core saturation at higher power dissipation. All my amps have less than 5W power, so it was an easier task. I've made the inductors myself using ferrite cores. Nevetheless, i couldn't get an enough narrow resonance peak, the sound had too much bass, so i damped out the peak and tuned the sound for my personal taste. Thanks for that information. Looks like a place to start. I would like to hear the results from that experiment. My experience is the signal out of the DI with the weber bypassed and not bypassed is significant. The attenuated signal was "dirty" sounding, heavy on the mids, and kind of congested. 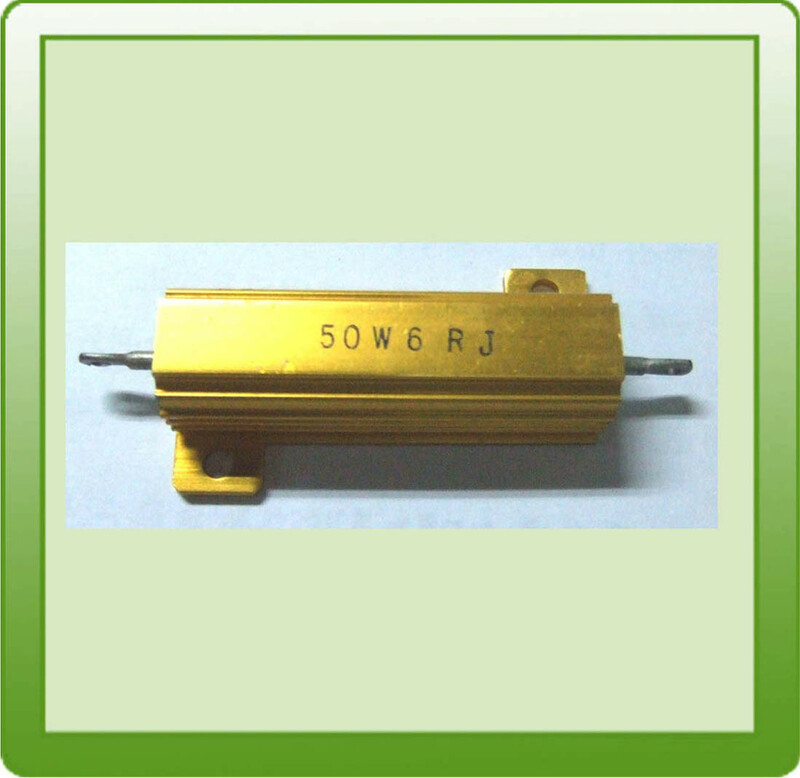 In all cases, the power resistors, real speaker or RLC circuit was used only as a load. The signal was taken from the OT secondary and then convolved with an IR. I tend to dislike this dirty sound of pure restistive load, although sometimes it may be quite useful. sounds pretty good. The highs seem a bit fatiguing but maybe that's just from the heavy guitar style sound. That is about the same thing I experience between the Weber attenuated signal and bypassed signal. The attenuated signal is just dirty, choked, and heavier mids. I have a 50 watt amp, so that dummy load isn't enough, but it seems to be a reactive load is the preferred way to go. Thanks for posting. Using my drawing already posted as a guide. You might like to wire up something very simple before you condem the weber. Try it instead of DI box,, see how it works. If the DI Box is not made well then even the slightest load diff can cause the effect you describe. The DI box was more than likely only ever intended to tap off from a Speaker load in which case it works as intended. i.e. A speaker has 8-ish OHMs whereas The Weber has a 30 Ohm load causing the larger signal swing. If the DI box does not have a decent series drop resistor then YES it may give you out of wack outcomes. Man that's a lot of effort and I thankyou for your input. All Very well presented BTW,, I tip my Hat to you Sir. It confirms what I found, being these things actually do work but it's a heck of a lot of work that only reaps limited return. Sure it's Useful but Nowhere near effective enough for what I wanted. The Honerable thing for me would be to do a Video clip of my system but heck mine is so simple to build I can't see the point. For a few dollars anyone can whip it up in a jiffy box in an afternoon. Just add a Graphic after it and your in tone control heaven. Bear in mind, I have no movie camera and I'm a Utube dummy and I make no money from my efforts. It looks fine Except there is *no series resistance* before the 1k Pot? When the pot is max you impress the FULL Speaker signal into the that poor little opamp. YIKES! Just think about it for a mo? If someone asked if they could plug the Speaker output of there amp into your guitar input would you not worry? you are just tempting fate from what I can see. Start at least with 10 x 1 Voltage divider and work from there. The Series R can be large as there is no fear of treble loss here as it's driven from a very low Z. There maybe slight of hand in using that data to build a load box. The Clue is in the very first line, "A speaker presents a varying impedance load to the AMP"
It's all in respect to the effect of reactive loads on AMPLIFERS Not the effect on the *Sound* produced. Same subject matter but all from a very different point of view so just copying his ideas may not nessiscerally reap tonal nervana. Just thought I should mention it as years back I also fell into that trap. I don't proclaim to be the expert but I,ve spent a very long time messing with these things,, so I'm just sharing my experience. Hope it all pans out. thanks for your reply. You are right, there should be some kind of protection of the + opamp input. I've updated the schematic. I simply forgot about that because i usually deal with really small powers. The opamp used with all my other gear was pretty safe. All this "reactive load " project was just a side experiment i did while working on my main amp used for homerecording. I did this out of curiosity and mostly for eduactional purposes (like plotting the power amps freq response under different loads etc.). The results were enough interesting for me to put the circuit into a box and use it occasionally for recordings. Perhaps, but the reason I bought the DI was because the line out signal of the Weber sounded bad. I get the same experience when I'm playing through my cabinet. When playing low volume, I'd rather just turn the amp down than have the amp up and using the attenuator to control the volume....and I love getting the power tubes working. It just chokes the tone. That is my experience in all aspects of everything I've done concerning the weber. The resistor that is in there was put in there by a tech because the ceramic one was broken during shipping. It is not this one, but it looks like this one. I can't speak of its quality. As I said, there are expensive attenuators that have come out to try and control the coloring that attenuators do to the tone. Attenuators color the tone and 10s of thousands 1000s have been spent to minimize that effect. From pz's test, it does appear a reactive load is better than a resistive load, and that is the experience I get as well. There could be some other factor involved, low quality resistor or something, but if that was the case there wouldn't be $700 attenuators on the market. Just my opinion. Hi all, I am new here. I have been reading this thread with great interest. I have a Weber Micromass. Being a techie I of course opened it up the day I received it and checked it out. I then began to ponder....it disturbed me that the mass 'motor' having no speaker cone was missing something in terms of dynamic loading which would obviously translate into a different looking electrical load than a real speaker. I also jangled the strings of my guitar with one hand and placed my fingers on the moving voice coil of the device with the other hand and was then quite disturbed that it was not even moving! Only when I really cranked the amp did I feel the slightest vibrations but just barely. I began to wonder if I had received a dud, however it seemed to be working fine and sounded great at modest attenuation. Hmm how could this be? How could a speaker motor not be vibrating like hell especially without the dynamic loading of the cone??? One would think it would blow itself apart. Well then I made my next major discovery which is that it is not a speaker motor at all! There is no magnet. This is actually a very clever device indeed in that it is constructed around a lossy soft iron pole piece using the same hardware as a speaker motor but with no permanent magnet so that when current flows in the voice coil and creates an electromagnet it also induces flux in the core which would tend to make it move but as soon as it tries to move it experiences powerful eddy current braking at the same instant. This simulates the dynamic loading of the air mass on the speaker cone I would assume but probably not exactly. Has anyone on the list ever plotted the impedance of one of these devices over frequency? I would be curious to see how it actually compares to a speaker. Yep good point no Magnet,, hum Might explain the sparks from *Rogue's* Test. "Re has anyone plotted it." What's the point it's not a speaker,, it's not even wired as a speaker. Plain old inductance I would think? I would think that without a Magnet in place any Back EMF would be next to nil. Remember It's across the top of a pot so it's shorted out at max level and has no effect on sound produced. It progressivly comes into circuit as pot is lowered. As Soulsonic has already noted the pure resistive unit in some respects might be better.